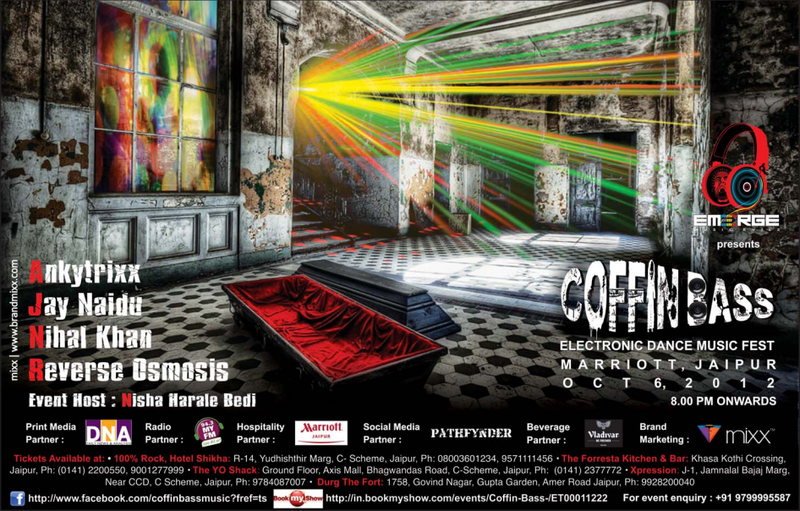 Saturday Night with Coffinbass will be a scorcher !! Days are gone when you thought Jaipur was a small town or it lacked night life, because from where we see now, Jaipur is almost there on the top glittering with the groovy beats of music, crazy young crowd dancing all night to the tunes of the most popular DJs of the country. We are talking about the first ever Electronic Dance Music (EDM) fest happening in Jaipur this Saturday. This event will be the most unique dance music event you would ever witness. 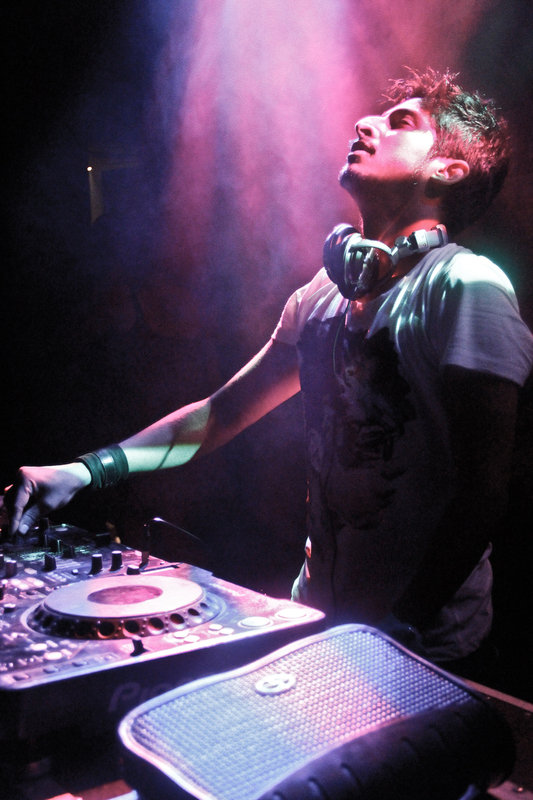 Ankytrixx : He is an Indian Electronica DJ and Producer and is currently ranked No.1 in India for Electronic Music on the VH1 MyFavDj Poll. He has played for many renowned clubs in a lot of countries and has a chunky and driving sound, interwoven with dreamy melody backed by the kind of bass line. 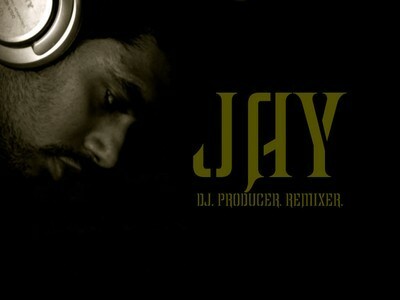 Jay Naidu: Tagged as the ROCKSTAR DJ in Nepal, Jay has evolved as a producer and overall a music artist. 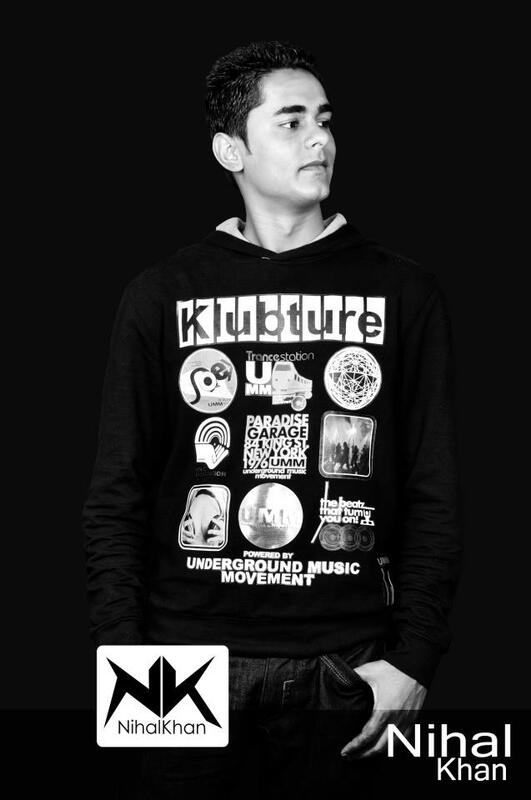 Playing at many MTV parties, Jay Naidu has been registered as the official Dj for the PLAYMYSOUND Record Label (Kathmandu). A mix master of straightforward sounds, crazy rhythms and pumped-up bass lines will leave no foot untapped while weaving magic in the atmosphere. Nihal Khan: A music connoisseur by profession; DJ Nihal is famous for EDM Music in India.He has performed in many clubs & concerts across the country such as Mumbai, Chennai, Banglore, Kolkata, Bhubneshwar. Reverse Osmosis: Reverse Osmosis is a punk rock/ alternative band from Aruba. They will make you go crazy with their thrilling beats this Saturday. All you party animals, get ready to groove to some of the hottest and trending electronic dance music and progressive tracks belted out by the DJs. There will be plenty of music, nibbles and fine spirits to keep you all in a happy and spirited mood. The DJs will create magic and make the crowd go insane this Saturday ! !